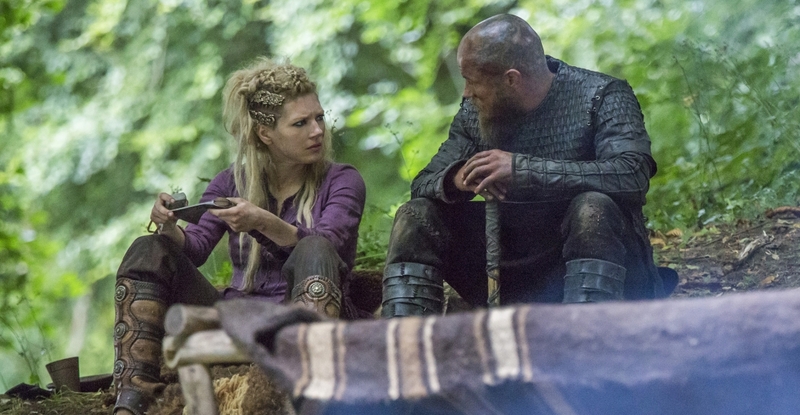 We start with a ritual performed by Lagertha before Kalf's stone ship grave. * Erlendur comes to her to ask why she killed Kalf. She tells him about the promise to reclaim her Earldom. Now Kalf is dead Erlendur is free to leave Hedeby but he insist on staying because he wants to go to Paris once more. 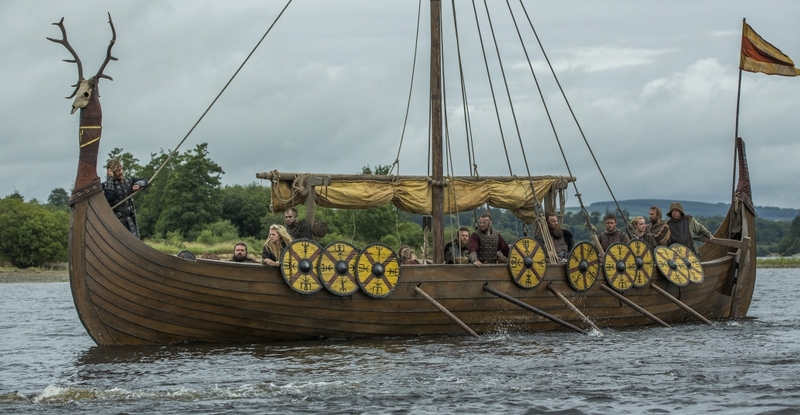 He can come with Lagertha only if he doesn't feel bothered by a women's boat. Ragnar is celebrating with a feast and announce the raids to Paris will begin in three weeks. After that, he does the ritual of the arm rings and both Ubbe and Hvitserk get their arms ring. 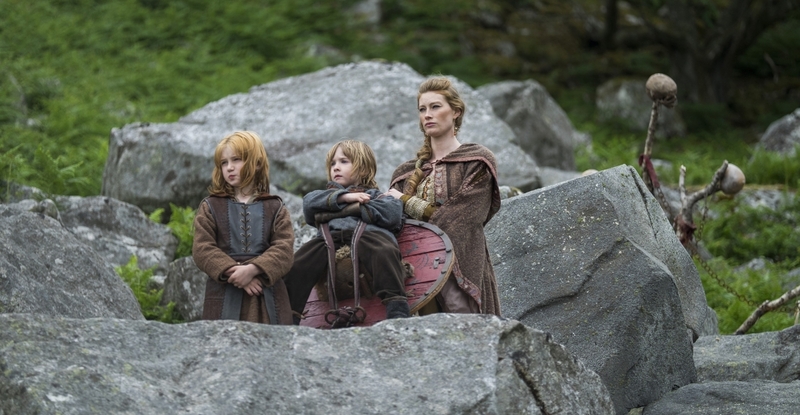 Ragnar tells Aslaug he takes the two boys with them to Paris to watch and learn. Just what he did with Bjorn he takes the children away from their mother although both Lagertha with Bjorn, Aslaug with Ubbe and Hvitserk tells him that they are too young. For Aslaug it is slightly different everyone knows what happened last season with the boys when Aslaug wasn't watching. In Wessex, we have a slightly different turn where King Eckbert decide to give Alfred a pilgrimage to Rome. & He sends Aethelwolf with Alfred to Rome. This discomfort both Eathelwolf and Queen Kwindreth he is away for a long time so he isn't with his mistress. Judith finds herself in grief and joy. Grief because she is losing Alfred for a long time and joy because she has the kingdom of her father in law when Eathelwolf isn't around. Yidu wants to come with Ragnar to Paris. She speaks the language and if Ragnar needs medicine she will get it for him. He asks her when will I die and the Seer answers him. Does he know that he will die on this journey? 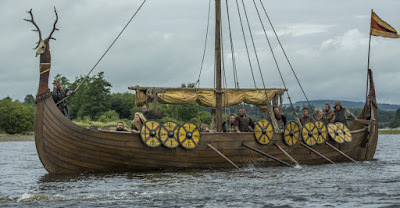 They leave Kattegat with many boats when we find out that Floki is on the boat of his new friends Finehair and Halfdan. Bjorn tells Torvi about the berserker. The scene with Sigurd and Siggy is very interesting but also Ivar and the breastfeeding Aslaug. Siggy is always dirty according to Sigurd. The only reason I can think about Aslaug breastfeeding Ivar is that she thinks he will be stronger. Maybe there is something else about that scene. I just can't put my finger on it just yet. The boats reach Paris to see a Frankish checkpoint. They kill, capture and burn them although this was not Ragnar's idea it was Finehair what we see is that Erlendur joins, Floki watched while he give the torches around. Lagertha gives Ragnar a warning because he is acting like a husband. Bjorn seems surprised that the camp from Rollo isn't there. After that, the medicine kick in and Ragnar has a flashback to the old days when Bjorn, Gyda, Athelstan, Lagertha and Ragnar were a family together. Harbard is back in Kattegat to release Aslaug from the burden because she needs someone to talk to. She brings him to Ivar who seems to recognise him although he was very young a couple of months when they first met. What I see in that scene is that he has the same laugh as Floki that time. 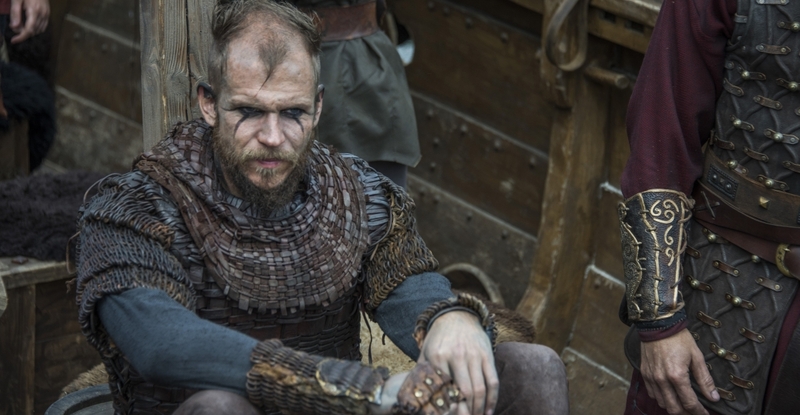 Floki who teach him. Rollo stands in the frontline with a small army and Erlendur but also Ragnar and Bjorn recognise him. Bjorn calls something to him.